Pamporovo (Пампорово) is Bulgarian ski resort and is situated in Rhodope Mountains at the attitude of 1620 m. / 5314 ft., Pamporovo is about 227 km / 141 miles away from Sofia airport and by car it takes about 3 hours driving (Route). There are a lot of hotels, restaurants, bars and a network of ski runs and lifts in the resort. Pamporovo provides a whole range of winter sports and the reparation for the 2013/2014 winter season is at the finish line. The ski season is set to open on Saturday, Dec 7. During the official new ski season opening day, access to the lifts will be free. Pamporovo offers conditions for alpine skiing, cross country, and snowboarding. There are 58 km / 36 miles of marked ski slopes for alpine skiing and 25 km / 16 miles cross country trails. Most of the slopes are equipped with artificial snow making installations. There is illuminated night ski slope, also. Borovets (Боровец) was founded in 1896 and is the oldest Bulgarian ski resort (map). Situated on the northern slopes of Rila Mountain at the attitude of 1350 m. / 4429 ft. , Borovets is about 70 km / 45 miles away from Sofia airport (click to see the route) and by car it takes about an hour and fifteen minutes driving on a mountain picturesque road, which passes through Samokov. You could choose between plenty of hotels, restaurants, bars and a network of ski runs and lifts along the slopes of the Rila. 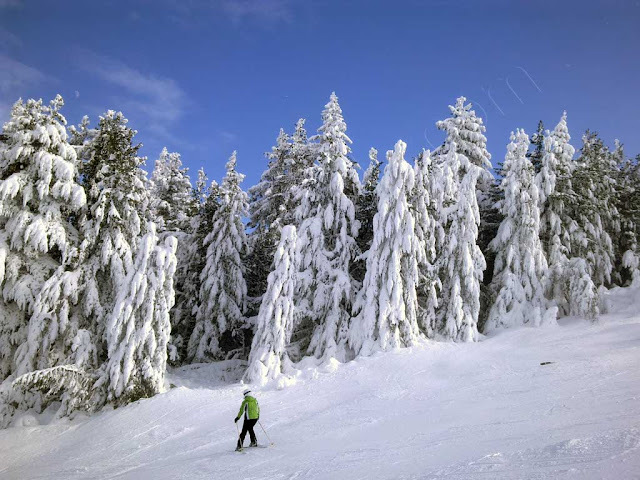 Borovets provides a whole range of winter sports and the reparation for the 2013/2014 winter season is at the finish line. The ski season is set to open on Saturday, Dec 14. The resort has twice hosted Alpine Skiing World Cup in 1981 and 1984 and in February 2014, Borovets will host men European Cup alpine skiing. 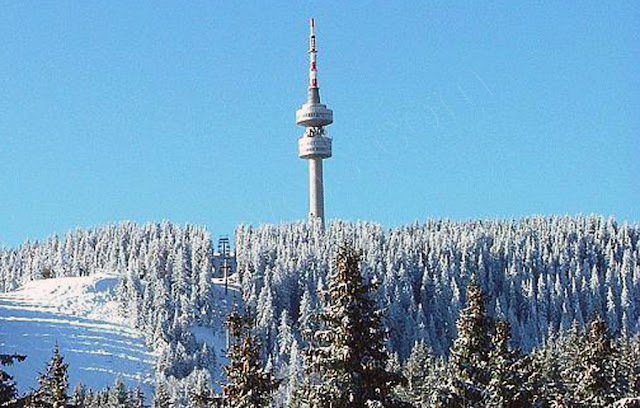 The competition will take place on a ski slope 'Popangelov’.